The sales department here at Ganley Toyota is eager to welcome you over to our conveniently located Akron, Ohio Toyota dealership and get you behind the wheel of the Toyota Tundra you've always wanted. Our knowledgeable team of professionals has a wealth of information on the entire Toyota lineup, and we look forward to reviewing the safety programs and comfort amenities that come on the brand new Highlander you are interested in! Make the short trip over from Cleveland today to get a personalized shopping experience you won't soon forget! Our Toyota dealership in Akron, Ohio has a fully stocked inventory of brand new models to choose from. Talk to us about the top-of-the-line you're looking for or the performance capabilities you're in need of. The Toyota brand has a vehicle for every situation and financial background, and we can't wait to introduce you to some sleek models today. Grab a complimentary cup of coffee, hop on to our free WiFi network and stroll our inventory, allowing us to present you with some viable options. When you buy your ride brand new from Ganley Toyota, you'll get the added benefit of ToyotaCare! This roadside assistance and maintenance plan comes free of charge with every new model, so don't put off your car search any longer, visit our Toyota dealership near Brunswick today! You don't have to own a brand new model to get all the perks that come with being a Toyota owner, shop our collection of used cars for sale right now! Each and every used vehicle on our lot has been rigorously inspected for safety. If the previously owned vehicle does not only met but exceed our expectations, we don't include it in our inventory. 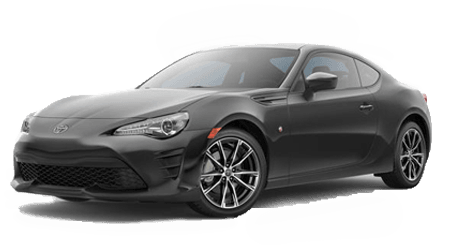 We strive to only bring you quality options that will have you cruising in comfortable style, use our Toyota website to take a look at all the affordable pre-owned vehicle we have right now! How will you know if your potential new or used ride will stand up to your driving style? A test drive! Contact our Toyota dealership now to take the Toyota Camry for a spin or to experience the hybrid power that comes on the Prius. Ganley Toyota will not only help you find the vehicle that complements your behind-the-wheel lifestyle, we'll help you finance that ride so you can take it home today! Allow our sales department to introduce you to all the bad credit financing options that are available to you and your less than perfect credit score, visit us in Akron, OH today!